Sean Colfer is in Cincinnati with the cream of the UK crop, but the Tour season continues regardless. This looks like the most wide-open Tour in years, so how might it go? Tour 3 is going to be an odd situation for UK Ultimate. The best teams are all away in Cincinnati (we’ve been previewing it, maybe you’ve seen) and it leaves the field very open. No Clapham, Chevron and Devon means three of the top four teams from Tour 2 aren’t there, the Irish teams are both over in the USA, and then SMOG and Reading – who have been playing in the top 10 of Tour all season as Open teams – are both across the pond too. All told, it means that this is probably the best chance several teams will ever have of winning a Tour event. Ka-Pow! come in as top seeds, a reward from their trip to become sacrificial lambs for Clapham’s unerring march to the Tour 2 title. They have a gigantic squad of very solid players with a few stand outs – they’ll be tough to beat because of sheer numbers but also because they have some players that can make things happen against anyone. They’ve beaten most of the teams in the UK already this year and will be feeling confident that they can repeat the feat from a few years ago and win Tour 3. They will be missing some people though, particularly Marius Hutcheson who is with Black Sheep, a Kiwi Mixed team, at WUCC. Marius Hutcheson – playing for Ka-Pow! at Tour 1 here – won’t be at Tour 3. Photo by Andy Moss. EMO are second seed. They split their squads at Tour 2 and may well do the same again this Tour, but it would be very interesting to see how they fare against Ka-Pow! with a full team. They are chock full of excellent athletes and if they can all get on the same page they’ll be tough to stop. They used a new line system at Tour 1 and could well go back to that. Ben Poole gives them a lot of room for error because he’s an outstanding athlete and all-around player, but their defensive line will be the difference maker. If they can get turns and breaks then they’ll be the favourite in my eyes. Fire are granted a third seed they’ll be familiar with, a good spot to build on what has been a tough year. They’ll be missing a couple of players through either injury or picking up with other teams at WUCC, but the squad they have is still going to be pretty tough to beat at this tournament. Bristol are the other top seed and have had a solid season, but Brighton could be a tough nut to crack for them. 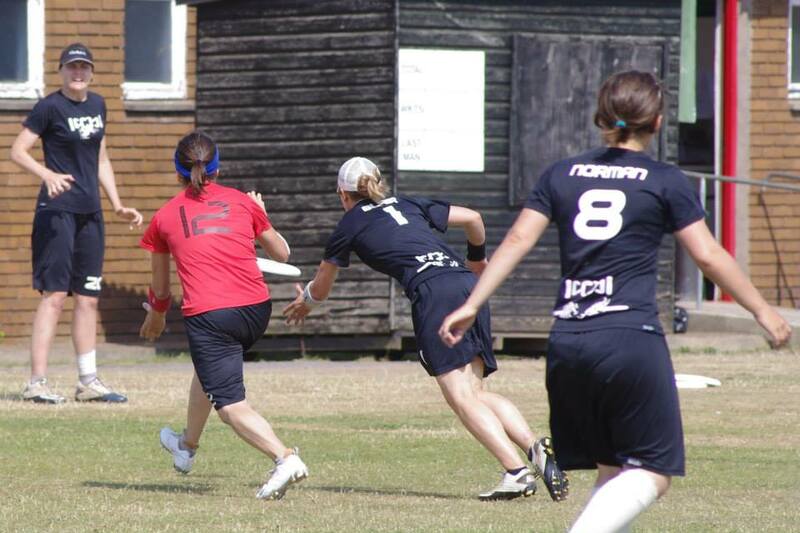 They were given a very tough pool at Tour 1 and are a good side – although they, too, are missing several players to WUCC since James Wotherspoon and Tom Mannings are both with Mooncatchers. EMO 2 and Reading 2 join them in their pool, and will be difficult to predict. I think they’ll be battling for third, though. Birmingham have a lot of good players but have a relatively small number of handlers. Still, their level of overall athleticism will allow them to at least hang with the teams up at the top of the draw. They will play Cloud City (who feature a lot of Herd players so will be familiar with Brum) and Brighton Gritty Legends (who have played Cloud three times this year already) in what could be an exciting pool. Ka-Pow! will face Flump, who have had a decent season so far despite their relegation at Tour 1, LLLeeds and Camden. Leeds were promoted at Flump’s expense in Nottingham and Camden have been around A Tour all season, so this group could be a really interesting one to watch. Flump and Leeds should both have too much for Camden, but the match between them will be fascinating. Manchester, SMOG and BAF join EMO in a group with lots of capital letters. Manchester have been pretty good all season and so will fancy themselves to finish in the top two – particularly since SMOG will be missing many of their top players. It’ll be interesting to see how SMOG do against BAF, but I think that’ll be for third and fourth in the pool. B Tour features some decent teams at the top – Vision, Gravity and Purple Cobras have all been pretty good all year, and Glasgow 2 will feature some good Glasgow players not at WUCC. Tribe and Rebel come over from Ireland so it’ll be interesting to see how they do (Dublin Gravity as well, although they’re in C Tour so are either dramatically underseeded or not quite the force they are in Mixed) and EDI return after some time away – though they’ll be losing some players to Black Eagles. Outside of that, it’s tough to find many storylines to look for. LED have been pretty good in Mixed but are seeded quite low, and Fluid have been one of the stronger C Tour teams so far. Cambridge will be intriguing since it’s tough to know who they have, but generally I see C Tour sticking to seed. So, who’s going to win this most open of Open tours? That is the big question. Here’s how I see the top 10 shaking out, but to be honest there’s about five teams who could win. It’ll be fun to see how the tournament ends up without Clapham there to ruin everyone’s fun by winning. With Charlie Blair away on U23 duties the review of the Women’s season falls to me (DP), hope I can do it justice. It was an absolute corker! Charlie Blair about to get horiztonal in the final. Photo courtesy of Louise Smith. Massive congratulations to Nice Bristol on their T3 victory, looking further down the results we see Punt displacing both LeedsLeedsLeeds and SYC to take third, finishing off a great rising season. With the exception of ROBOT (who fell from 4th to 9th) and the rising Nice Bristol 2 team (who grabbed the last top 8 spot) the remaining positions were as expected. A special mention to a Rebel player who in the first game had to be taken off the field by paramedics, we wish you a speedy recovery back in Ireland! The regular season movement in the 2013 Women’s Tour. Full official results can also be found here. The T3 final did little for the overall standings with Iceni still coming out top, Savage do appear rather low down but that would be due to only attending the first two events. On average they would move up a couple slots. Punt rise high over Leeds but what team will they bring to Southampton? Photo courtesy of Andrew Moss. Let’s hope that Nationals and xEUCF is ice cream weather not hot tea. Looking forward to the return of Charlie Blair? Do keep supporting the World Games squad with the #gbwg2013 hashtag and following them online however you can! DP @ tSG.